Born at Winnipeg on 15 March 1908, the son of Magdelena Unger and William Hurst, he was educated at the University of Manitoba, receiving a BSc in Civil Engineering in 1930, and at the Virginia Polytechnic Institute, receiving a MSc in Civil Engineering in 1931. He was employed by the City of Winnipeg from 1931 until his retirement in 1972. Until 1944, he was a Water Works Engineer. From 1941 to 1971, he was Winnipeg’s City Engineer and Commissioner of Buildings. In 1972, he retired as Commissioner of Works and Operations. He was best known for his leadership in the disastrous 1950 flood. He served as President of the Winnipeg Symphony Orchestra. He attained the rank of Captain in the 10th (Reserve) District Engineers, R.C.E., was President of the Association of Professional Engineers of Manitoba (1950-51), held several appointments with the American Water Works Association including Chairman of the Canadian Section, and was the first Canadian to serve as National President (1962-63). 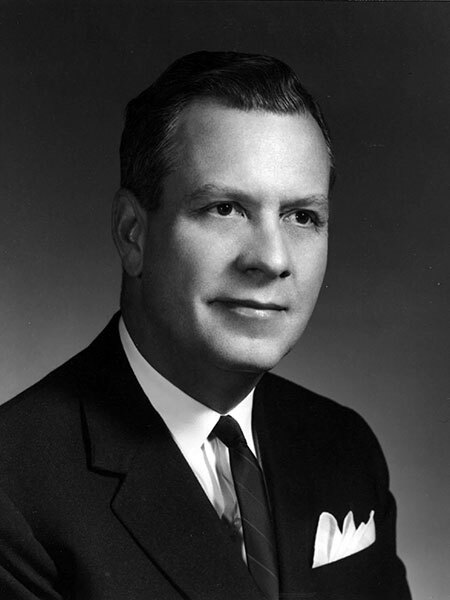 He also served with the American Public Works Association and was President of the organization (1959-60). He served on the National Capitol Commission in Ottawa (1971-76) and on the boards of the Misericordia Hospital, Shriners Hospital for Crippled Children in Winnipeg, and Manitoba Centennial Corporation. He was a Freemason (Scottish Rite 33), a member of Westminster United Church in Winnipeg, the Manitoba Club, and a founding member of the Manitoba Chapter of the Phi Delta Theta Fraternity. He was appointed a Member of the Order of Canada, a Fellow of the Canadian Academy of Engineers, and received a gold medal for lifetime achievement awarded by the Canadian Council of Professional Engineers. He died at Toronto on 25 September 2000, after a long illness. Obituary, Winnipeg Free Press, 27 September 2000.